The biggest crimes of Hafiz Muhammad Saeed are opposition of drone attacks and mass protests against release of NATO supplies. No country has right to intervene in the matters of the other country.If Hafiz Muhammad Saeed is a terrorist it should be proved in the court.Previously he was house detained due to foreign pressure and later on he was released by High Court and Supreme court of Pakistan. 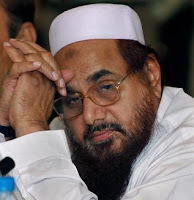 The head price of Hafiz Saeed has been set to develop a pressure for release of NATO supplies and to stop the mass mobilization started by him. May Allah give wisdom to Muslim leaders and all the Muslim lands get independence in the real sense.